Corin Armstrong, a member of our Business Development team, has more than 10 years of experience supporting the design, implementation, and management of governance and economic development programmes for the U.K. Department for International Development (DFID), the European Commission, the U.S. Agency for International Development, and the World Bank. He brings a practitioner’s understanding of aid policies, delivery mechanisms, and procurement procedures. He has particular expertise in the use of communications and political economy analysis around demand-side accountability programmes and was closely involved with the development of the DRC Security Sector Accountability and Police Reform Programme and the Pakistan Transforming Education Programme. 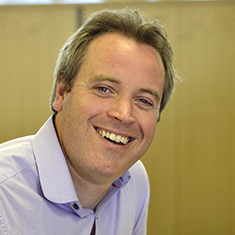 Prior to joining DAI, Corin worked within the communications department at DFID, where he was engaged in supporting the department’s humanitarian response work, strategic communications planning and civil society engagement.